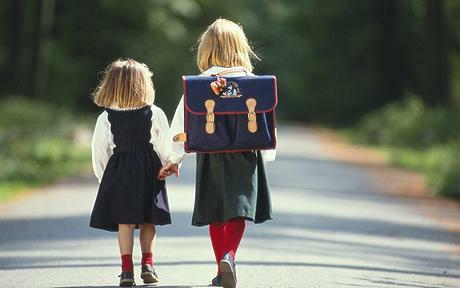 Refer to the school trip letter – When it comes to school trips, letters are always given out. If you haven’t seen one, it is probably because your child has either lost it or it is still in their school bag. Once you have got the letter, it is still a good idea to converse with one or two other parents just to make sure you have not missed any important correspondence. The letter(s) should detail what is required, the itinerary, certain activities that are going to take place, and so on. If you are unsure about anything, do not hesitate to contact the school for more information. Where the trip is taking place – It is always a good idea to find out exactly where the trip is taking place in terms of address. You should also get the contact information for the venue. It is unlikely you will need it, but in the case of an emergency you will want to have this handy if you need to get in touch with your child. The activities involved and the time of year – Last but not least, these are two critical elements that need to be considered when packing. The time of year is important because you will want to ensure your child is protected effectively from the elements. In terms of the activities involved, if your child is visiting a farm, for example, old clothes, waterproofs, and wellingtons are going to be a must. If they are going to a museum, you may need to give them a little bit of pocket money to spend in the museum store. 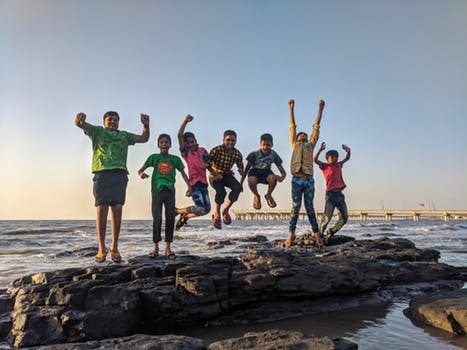 Some trips are often linked to projects, for example, school science trips, and so you should aim to find out whether there is any work that is involved beforehand or anything that your child should be taking with them in this regard. So there you have it: some of the different things you need to make sure you pack for your child’s first overnight school trip, as well as some other steps you need to take. There is no doubt about it: this is a big step in your child’s life. It is a mark of their independence and an opportunity for them to learn plenty of new things. Preparing them effectively is the best thing you can do. I’ve written here before about the potential conundrum with our school situation and with Sausage about to go into year 4, it’s becoming ever more pressing. When we moved to our little village, we gave Sausage three options. She could either quit school and be home educated, change schools to one more local to where we’re living, or stay where she is but have a bit of a commute each day. Ultimately, she decided to stay where she was and we weren’t unhappy about that as her current school is very good and was our only choice of Primary for her. The conundrum happens when we start to factor in BB starting school in 2018, Sausage’s final year of primary. Do we send her to the same school as Sausage and tie ourselves into another 7 years of commuting a fair distance, send her to a primary closer to home and deal with very awkward school runs for a year (with both of them needing to be in different schools at the same times in the morning) or maybe even home educate BB for reception year until we know where Sausage will be going for secondary. It’s the only site with unique video walkthroughs to show how to score a 100% on Maths GCSE and SATs papers. The only site with a unique Buy and Sell section specific to individual schools. A site with a unique catchment area heat map for every state school in the UK. A site that has discussion forums for parents on a local and national basis. A site that is recruiting tutors for free to create the biggest and most trusted tutor site for parents in the UK. A site where you can read or write reviews about your child’s school to help other parents. In fact, it’s the perfect choice for you and your child’s educational journey. As well as allowing us to get a really comprehensive overview of all of the schools in our area, it’s also a fab resource for tutors, something we’re considering in the run up to the 11+. However, if a tutor is not within budget, School Reviewer also sells practice exam papers for SATs and GCSEs, with 11+ papers to be added to the site really soon. I really like the idea of being able to test Sausage at home and having access to official papers will make this so much easier. I think my favourite feature, however, is the buy and sell section, which School Reviewer have recently made completely free to use. 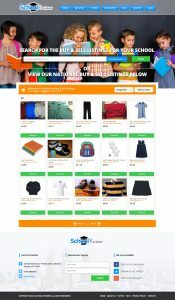 You can buy and sell things which are specific to your school, allowing you to grab bargains like nearly-new school uniform, text books and other stuff for a fraction of the price. The back to school period can be ridiculously expensive so giving parents a way to save money is really positive, as well as allowing you to make a few quid off of anything that you no longer need. All in all, I think the people behind School Reviewer are absolute geniuses. I’m not aware of any other sites which offer such a thorough overview of all things school related and I’ll be recommending it to basically anyone who will listen! Head over to the site to take a look yourself. We all want to help our kids achieve their best possible results throughout school and college. And the best way a parent can get behind their kids is by helping them ace their homework. Even if you weren’t the brightest at school back in the day, there are still certain ways you can help them out. It isn’t all about sitting down with them and doing the academic stuff! So do you want to give your kids a fantastic chance in their academic career? Here are five ways you can help your kids ace their homework. One of the most important things you can do for your child is to give them a quiet spot where they can get on with their work without being disturbed. This will provide them with the peace and quiet that they need to concentrate. If you have a home office that you use for work, let them work at your desk when you are not there. That way, they can shut the door, so there are no distractions from elsewhere in the household. Is there is space in their bedroom? You could put a desk in there. You just need to make sure that there are no toys or electronic devices that could distract them away from their work! You need to insist on a daily schedule for your child. This way, they will have an allocated time in which they should be doing their homework. There are a few benefits of a regular schedule. The best one is that it frees up time for fun stuff, like hobbies and sports. You will know when your child will work best at home. Perhaps it is as soon as they come in from school. Or maybe they need an hour or so to settle down at home before they get on with homework. Whichever you decide, you need to stick to it. Also, make sure that your child has half an hour’s break in the middle of their homework. This helps them refresh and grab a snack. But don’t let them watch TV or go on a computer – you may have a hard time getting them away from the screen! No matter how much you want your child to succeed at school or college, you should never be too overbearing with them. If you are very overbearing, this could have a negative effect on your child’s behaviour. They may begin to rebel and refuse to do any of their work. So whatever happens, try to stay relaxed and stay out of their hair as much as possible! Remember that we all need breaks sometimes, so don’t push your child too hard or criticise them for taking a break. It can help them clear their mind so that they can continue to work to a high standard. Has your child called you because they forgot to take their homework book to school? Don’t give in to their wishes and take it to them. Instead, they need to understand that their actions have repercussions. Once they have been punished for forgetting their book or equipment, they will always remember to pack their bag correctly! And the same goes for not doing homework. If they don’t do an exercise, don’t constantly remind them of it. They will have to face the repercussions and be punished at school. Hopefully, this will ensure that they become more responsible and always do their homework in the future! If your child appears to be struggling with their homework on a regular basis, they might need some extra help. You might be tempted to try and reteach them a topic. However, this won’t be helpful for them. You might not have a full understanding of the topic, and this can only confuse them more. There are a number of steps you can take. Discuss the matter with your child’s teacher. They might go throw the subject again in class if a few pupils are struggling. Your child might also benefit from after-school study clubs. There are also some services that specialise in UK coursework writing if your child is struggling with a college assignment. If you follow these five steps, you’ll find that homework won’t be such a big struggle in your household. By being a supportive parent, you can help your child achieve fantastic results and achieve everything they want from life! With my Facebook awash with friends who’ve had emails today about Secondary placements for their older children, it’s got me thinking again about our own catchment issues. 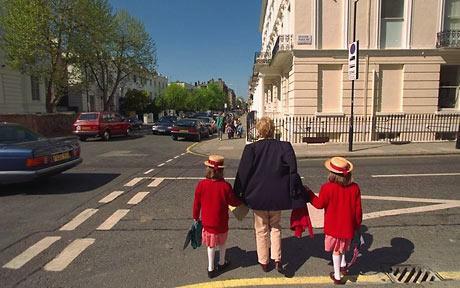 When Sausage was due to start school, we had a real dilemma; the house we lived in was close to the school we wanted her to go to, but wasn’t actually within the catchment. The school was also very oversubscribed and one of those real rarities; a really good school within an area where house and rental places weren’t too high – the Holy Grail for a lot of parents! Fortunately, we were in a position to move and found a reasonably priced little bungalow within the catchment area, which meant Sausage was given a place at the school we wanted. She’s been at the school for 4 years now and is really happy, which makes me glad that we were able to get her in. Other people in our area aren’t always so lucky. Many of the other schools with a good reputation are in areas of very high rents, which means that even though it’s not private education, many ‘normal’ families simply cannot afford to send their kids to the best schools. Of course, it’s possible to appeal, so that’s always an option. In two years, we’re going to have the same issue all over again. BB will be due to start school the same year that Sausage goes into Year 6. This means that we have to either put BB in the same Primary as Sausage and potentially tie ourselves into a 36 mile-a-day journey for all the school runs for another 7 years (providing we still live here in the sticks) or try to get BB into a more local school and have each girl at different schools. Also, would BB even get into Sausage’s school, now that we’re so far out of catchment? See our dilemma?! On top of this, we have to factor in the quality of local schools where we are now. Our two most local schools are church-run (and we all know how I feel about that! ), and because they’re tiny schools, they don’t attract the funding or the most dynamic teachers, like large town schools, meaning that they often flounder when it comes to OFSTED results. Having said that, I don’t put a huge amount of stock in these inspections these days and do think a school with just of 90 pupils in the whole place might be a great way to get a more personal, one-on-one education for BB. Home schooling is looking like a fairly attractive option, even if it’s just for Reception year. I often think that 4 is far too young for them to start school anyway, and we could home school BB until we know which senior school Sausage will be attending. That way, we could apply for a school place for BB closer to where Sausage is going to school, which could make our lives a whole lot easier! Have you had to face a similar dilemma? Do you have kids who go to school in different towns? How did you cope? I’d love you to leave me a comment and let me know. As we approach the summer holidays, I can feel the stress of the year melting away; we’ve had a good year, all in all, but with SATs and homework and school runs and everything else in between, it’s definitely time for a break. We’ve got a lot of plans for the holidays and are lucky enough to live in a coastal town, so lots of trips to the beach are in order, as well as having both Husband and Sausage’s birthdays to look forward to. However, the ‘back to school’ process is never far from our minds and we thought we’d share a few tips for making the whole thing a little easier, in collaboration with Marks and Spencer. Sausage and I listen to music together quite a lot and one of the things that helped her to deal with separation anxiety when she was in Reception class was having our own personal anthem. At the time, we drove to school and we listened to our favourite song every single day, singing along and taking her mind off of things in the process. Choose a song as your anthem, the happier the better (ours was “Let Me Love You” by Ne-Yo!) and sing your hearts out on the way each day. Sausage and I are masters of the travelling game and have even invented a few of our own. Eye Spy is always a favourite but we sometimes modify it by playing by colour instead of letter. We also play guess who, the alphabet game and the rhyme game: for the alphabet game, choose a theme (Disney characters is a fave of ours) and name one for each letter of the alphabet. Telling stories is a great way to distract little ones, and getting them involved in the story is even better. Take it in turns to tell part of the story and their minds will be completely away from any potential school related anxiety. If you know someone else with kids at the same school and happen to walk a compatible route, why not link up and walk together? The kids will inevitably go off into their own little worlds and will distract each other for long enough for the school run to go by in a flash. Often, parental anxiety can really rub off on kids and even without saying anything, you can add to their worries. It may seem easier said than done, but try to be as happy and positive as you can in the mornings, don’t mention any negativity and with any luck, your positive outlook will be what influences their mood. Do you have any fool-proof tips on how to make the mornings a little easier? We’d love to hear all about them. When Sausage started school, we wanted to make sure that she had all of the right stuff that she needed, so we went to the local uniform shop and bought just about everything we could with a school logo on it! We probably went a little over the top, but it was worth it to make sure she had everthing she needed, and to be fair, she’s used everything we bought! If you’re a parent, you’re well aware of how expensive life can be, and once they get to school age, that cost seems to go way up. BrightHouse have conducted a survey of over 3000 parents of primary, secondary and college age students to see how much they spend, on average, preparing their kids for the school year and the results were surprising – click on the link above to see what they found. 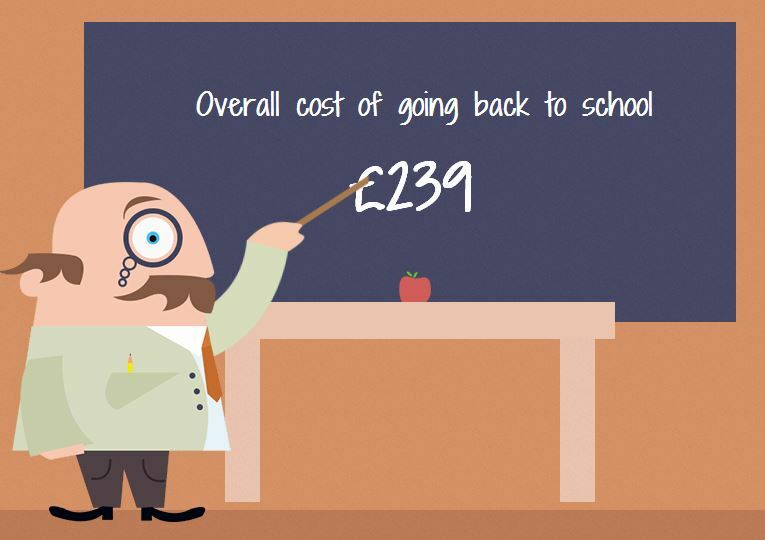 Overall, they estimate that the cost of going back to school was £239, although Primary age kids averaged at just £20, while college kids were the ones splashing the big bucks! Fortunately, the move from Reception class to year one wasn’t as pricey as most of Sausage’s uniform still fitted her and last years’ coat is still a perfect fit, too. Of course, new shoes were a requisite, as scuffed shoes just aren’t mustard, but in general we spent a lot less this year than we did last. How about you? Did you spend anywhere near £239 when your kids went back to school or were you able to be far more frugal than that? Did you find that buying from supermarkets or larger retailers managed to save you money, rather than buying from specialised uniform shops? Let me know, and don’t forget to head over to the BrightHouse website to see the full animation. 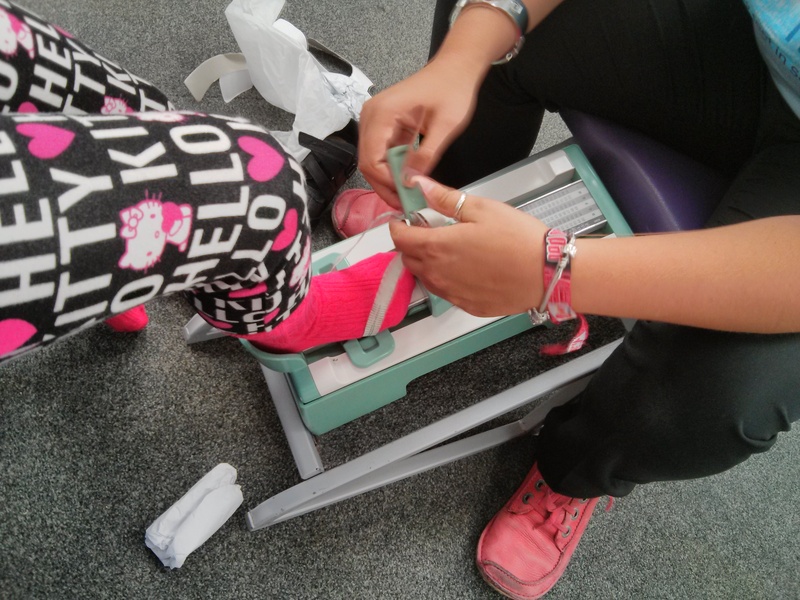 A few weeks ago, Clarks asked us if we’d like to go along to our nearest store and have Sausage properly measured for her next pair of school shoes, so armed with our £40 voucher we went along to the Southend branch this week to get started with our back to school preparations. When we got to the store, I was eternally grateful that we’d arranged an appointment – the upper floor where the kids shoes are housed resembled a soft play centre on a rainy day rather than a shoe shop! The assistants were run off of their feet and it whole place had the electric atmosphere that you get when 2 dozen hyperactive children are verging on shopping-induced revolt! Thankfully, we found a corner to sit in and we didn’t have to wait long for an assistant to come and measure Sausage’s feet. I was impressed with how thorough the measuring process was, having never been to a Clarks before and was pleased to note that they check width as well as length, which I think is really important for feet which are still growing. Once the lady determined what size Sausage would need (10G, just in case you wondered! ), she presented us with boxes of shoes that came in the right size, which was really helpful as it saved Sausage from getting her heart set on something, only to be told that she couldn’t have them. Eventually, Sausage chose a black patent leather pair, with a velcro strap which would make it easier for her to get them on and off when getting changed for P.E. and swimming. The fitting didn’t end at the measuring though, as the Clarks assistant then put the shoes on Sausage, checked how much space her toes had, checked for space at the heel and even checked to see that the shoe wasn’t too tight on the top of Sausage’s foot. I must say, it was the most thorough shoe fitting I’ve ever seen, and the woman had no idea that we were there for a review, so it’s not like she rolled out any special treatment for us. The shoes themselves seem to be very good quality. 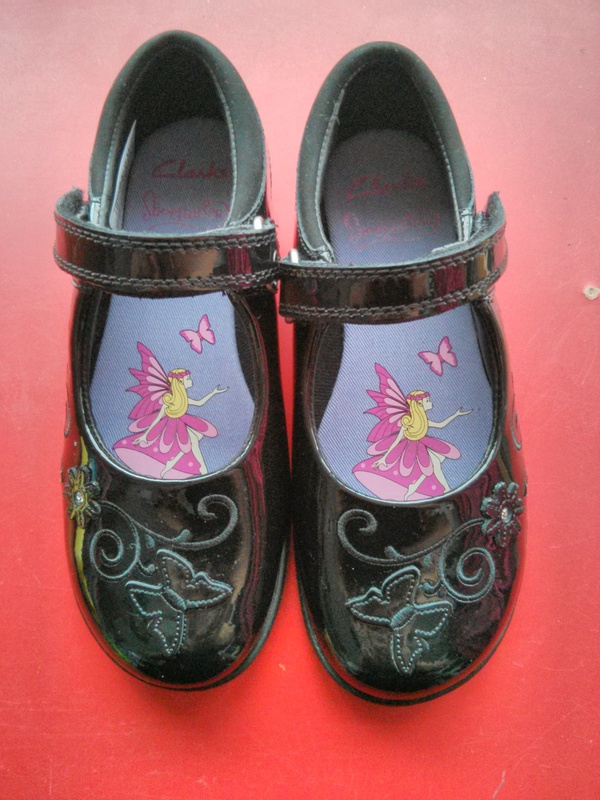 The sole is thick and sturdy, the strap looks very well attached and the attention to detail on the upper and inner is very pretty – they even have fairies printed on the inside, which Sausage immediately fell in love with! These shoes were £34, which I thought was reasonable for a pair of good-quality shoes. Most importantly, Sausage is very comfortable in her new shoes and I think they’re going to last her very well over the coming school year. Thank you, to Clarks, for having us along to pick out some shoes – Sausage is a very happy girl! A couple of things have happened this week that have made me think about the way I feel about my blog. Firstly, a new work colleague suggested that I add her on Facebook. I post all of my new posts onto both my personal timeline and my blogs page, so if I were to add her on there, she’d become aware of Mum’s the Word fairly quickly. Secondly, I was talking to one of the mums of a girl in Edith’s class and she mentioned that she was friends on Facebook with some of the other mums. Although I was already friends with two other school mums on there, I realised that I was cagey about who I added because of them seeing my blog. The thing with blogging is, although I’ve now met several other bloggers in real life and consider a few of them to be very good friends, I mostly forget that real people read what I write! I had a message the other day from some who was in my class at school. She got in touch to let me know that she really enjoys reading my posts and that she felt like she knew me even though we’d not spoken in over ten years. I was so touched that she took the time to make contact and it really made me think about the fact that, even though I’ve been pouring my heart onto a computer screen for the last two and a half years, the thought of people reading your thoughts is quite an abstract concept – until they tell you! I like to think that this blog is a pretty good representation of me. I’m brutally honest about my thoughts and feelings, probably to my detriment at times, but I find it hard to censor myself for the most part. What’s the point of writing if you’re not being honest? If my writing wasn’t authentic I’d be better off writing fiction, surely? But, when you put your heart on a page, you leave yourself open to a lot of stick. I think it’s mostly paranoia. I reckon other bloggers would agree that writing a blog is brilliant when people comment on your posts or engage you via social media about something you’ve written. I’ve had debates in my comments that I’ve been thrilled about, even when people are being negative about my opinion on something, but by contrast I have this overwhelming fear that I’ll write a post and then walk into the playground or my office and see people whispering about me or judging me in some way. The stupid thing is, they probably do that anyway, everyone gets judged by their peers, but it’s one thing being judged and it’s quite another to serve up a WEALTH of material for people to judge you on. I asked in my fave parent blogging group on Facebook whether I should say “screw it” and go public and I had a mixed response. Some said that they have hundreds of co-workers who read their blog and they love it, others blog completely anonymously and wouldn’t have it any other way. Someone also made the VERY cogent point that basically anyone who knows how to Google could find my blog anyway, without very much effort at all. Basically, I’m in blogging limbo. Am I right to be scared? What would you do? Perhaps I’m missing a trick and I should be littering my every path with my blogging business cards?! Who knows. Today was the day. The day. I woke up an hour before my alarm. Sausage had had a bad dream and got into our bed in the night, so I suspect my early rising was something to do with having her elbow pressing into the back of my head for the previous hour, but I didn’t mind. As I got up, she awoke too and seemed happy enough. She’s a morning person, my kid. In fact, she’s an all-the-time person, we’ve had many a compliment on how happy and content she seems. It wasn’t until she was situated with her brekkie and watching TV that I said “Are you looking forward to school today?” and do you know what she said? I’d been tossing and turning, sick with worry and she’d forgotten all about it! I have to admit though, that was just the first in a series of ‘best-case scenarios’ that have littered our day. She got dressed in her uniform (which as you know, I can’t post here, that’s just how I roll…) and was raring to go, excited and switched on. If she was nervous, she didn’t let it show at all. Husband and I both walked her, the beauty of having one parent who’s self-employed and another who’s seemingly unemployable and we chatted away about carnivores and peregrine falcons and bald eagles and trees. There was a load of other people who were also delivering tiny humans who looked FAR too small to be on their way to school, it was a relief in a way to see other people in our situation. As we got into the side gate, I saw several other mums in the playground who I know and I was really pleased about this, a familiar face is always good and this is a new experience for me too, not just Sausage! As we walked in, one of Sausage’s friends from nursery came and found us and they wandered off together, chatting away. She even formally introduced Sausage to one of her other friends, which meant that my little lady had two allies when she was finally called into class. She was so involved in her networking that when the time came for her to go into class, Husband and I had to call her and ask for a kiss goodbye! Again – best case scenario. I don’t want her to be clinging to us or worrying about us leaving, so I’m super pleased that she had friends to make the situation a bit less intense. As Husband and I walked home, I think we both felt a bit lost. It was okay though, the time went surprisingly fast and a few emails and a bit of work later and it was time to collect our big girl. She was last to be let out of class but seemed very relaxed and happy. She told us about the new friends she’d made, helping another friend when she hurt herself in the playground and singing “Twinkle, Twinkle, Chocolate Bar..” (a completely new one on me!) but all in all, it was pleasant and largely uneventful, which is better than I could ever have hoped for. I’m so proud of Sausage for handling today in her usual pragmatic way and not letting her nerves or sensitivity get the better of her. She’s an ace kid and I cannot wait to see how all of the new lessons and experiences broaden her mind. Exciting times for my bezzie mate!